We have earlier this year wrote about this 1969 Hellcat Charger so called “Reverence”, however back then it was in the construction phase. Now, at this year, SEMA motor show, the team from the Cleveland Power and Performance have brought their final product, and we must admit it is absolutely awesome. 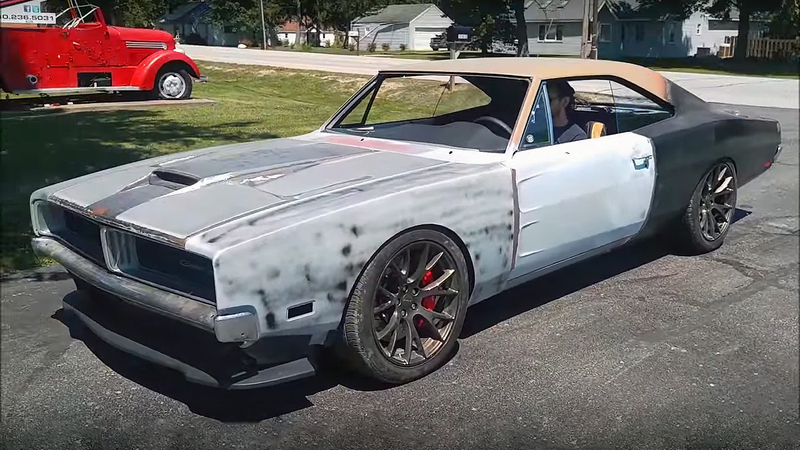 If you have not seen this Hellcat Charger at the beginning, you can check it here! So let’s continue… basically this Mopar it is a classic ’69 Charger B-body with a completely modern Driveline, suspension and interior. 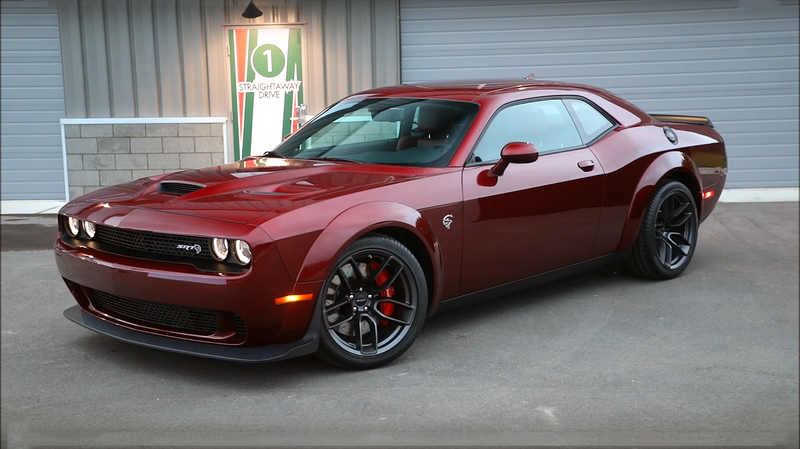 In addition, it is fully functional and it performs like a new 2016 Hellcat. 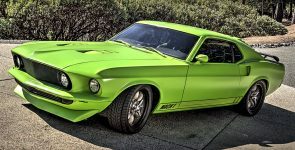 The exterior has been painted in custom green metallic, using PPG, the trim and bumpers are black chromed which goes perfectly in combination with a black hood and wheels. 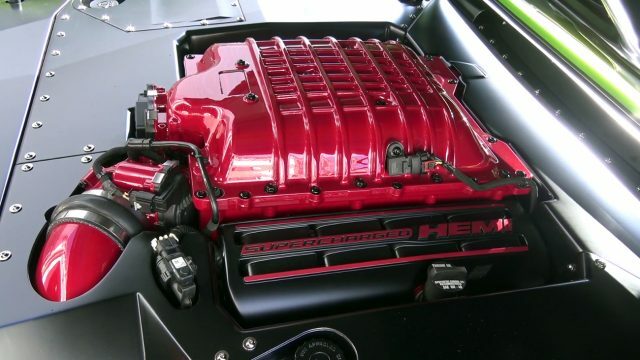 The engine it is a Supercharged Chrysler’s 6.2 liter or 370 cubic-inch SRT HEMI Hellcat small-block V8 engine with TorqueFlite 8-speed automatic HP90 transmission. The CCW mate black wheels are secured with powerful Brembo, 6-piston front and 4-piston rear brakes with vented rotors on all four corners.